If you’d like to be popular at a GOP event these days, don’t wear an Education Department lapel pin. As they have for decades now, conservative presidential candidates these days are falling all over themselves in their threats to eliminate the Education Department. But not Ben Carson! The uber-conservative neurosurgeon has something he wants the Ed Dept. to do. 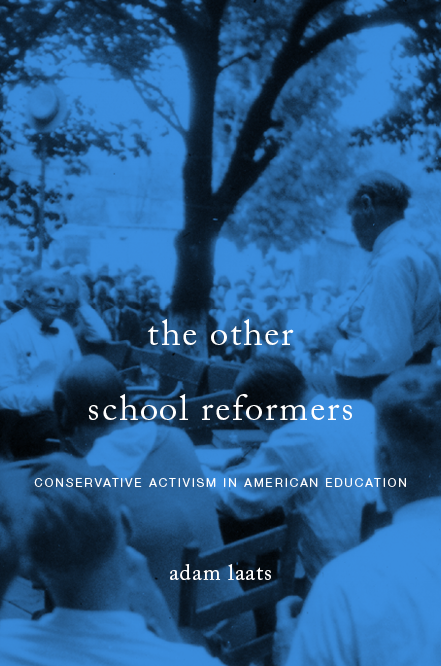 SAGLRROILYBYGTH are tired of hearing this, but I’ve pointed out in my recent book and in the pages of Time.com that conservatives have not always hated the idea of federal influence in education. Back in the 1920s, cultural conservatives wanted the federal government to pump money into educational programs that would make America more conservative. Some conservative intellectuals these days have made similar noises—if the Ed Dept. can push conservative programs, some conservatives think, then conservatives need to get over their antipathy. Dr. Ben Carson’s plan for the Ed Dept. goes even further. As he told Glenn Beck, Carson wants the federal government to seize control of higher education. Here’s the plan: Carson hopes the Ed Dept. will “de-fund” colleges that ban conservative speakers. The department, Carson explained, should “monitor our institutions of higher education for extreme political bias and deny federal funding if it exists” [about 3:41 of the interview]. It’s not clear exactly what Dr. Carson thinks such defunding will mean. Nor can I tell how “extreme political bias” would be defined. But such quibbles largely miss the point. For us at ILYBYGTH, the remarkable take-away from Carson’s candor is that he wants to assert sweeping new powers for the Education Department. This is a departure from both the past fifty years of mainstream conservative thinking and from the past hundred-fifty years of Seventh-day Adventist tradition. Adventists, after all, have never been supporters of government power. Not even to push society in ways they might prefer. As liberal pundits have become eager to point out, Carson’s rhetoric about strong Americanism is a marked departure from SDA tradition. These days, Dr. Carson displays a weirdly non-SDA penchant for a powerful, intrusive government. It’s certainly the case with Carson’s recent comments about the Education Department. I can’t imagine that SDA universities such as Loma Linda or Pacific Union College would endorse more federal control of their activities.